Peru is an amazing destination filled with history, culture and adventure, this is why it is so important to plan your tour to best suit your interests, level of comfort and budget. With Peruvian Secrets you will have your own personal expert advisor to guide you through the planning of your holiday offering you good advice and to answer all your questions. Each tour is designed to match your time available and most importantly your budget. Here we give you a taster of one of our tours from the Andes to the Amazon. Upon arrival in the city of Arequipa, you can relax in your hotel and enjoy the garden. The rest of the day is free for you to relax. Remember, you can discuss with your guide the places that may be of interest to you during your time in Arequipa and either arrange to take some additional services with the guide such as a city tour (local payment) or do your own independent sight-seeing. A full day to explore the beautiful ‘White City’, before you head off to the high Altiplano. Highlights that you can visit in Arequipa, either independently or during an arranged tour (local payment), include the beautiful Monasterio de Santa Catalina and the nearby museum, which is home to the mummy of ‘Juanita ~ the Ice Maiden’. She was found on the summit of Ampato, a volcano in the region, and is thought to be an Inca sacrifice, chosen at birth and raised with the sole purpose of her sacrifice to the Gods in mind (this would have been a great honour), before being marched all the way from Cusco to her final resting place near Arequipa. The night is spent once again in La Casa de mi Abuela. Today we travel 160 Km from Arequipa to the town of Chivay, capital of the Province of Caylloma. Take in the majestic views of Misti, Chachani and Pichu Pichu volcanoes on your travels before entering the National Reserve of “Pampa Cañahuas”. Here you will make a stop to observe the wild Vicuñas (the most important American camel) in its natural habitat and also see Alpacas which are abundant in this area. Continuing on the road we will pass through “Tocra” over the 4,500 meter high mountains, where we will observe the lakes with migrant birds and there will be opportunity to get pictures of the “Antiplano” (highland) with its llamas and Guanacos. Our highest point will be “Pata Pampa” (Pata=High, Pampa=Land) located at 4,820 meters, where we’ll observe the volcanoes Ampato, Sabancaya, the Hualca-Hualca, the Mismi (the source of the Amazon River) and the “Cordillera de Chila”. With a couple of stops along the way (to view the hanging tombs at the look out point of “Choqutico” and to see the litomaqueta we travel to Colca Canyon. The “Cruz Del Condor” view point will wait offer spectacular sights of the Condors as they climb out of the Canyon on the morning thermals. We then cross the Alta Plano to the town of Puno set on the banks of the Great Lake Titicaca. You’ll be out on the lake for a little over three hours, so a wide brimmed hat and strong sun block are essential at this altitude. Visit the floating islands of the Uros people discover a little of the history and culture of these people, thought to pre-date the Inca by several hundred years. You will return to the port and will have an afternoon excursion to the pre-Inca burial site of Sillustani. This coach journey will take you away from Puno and towards Cusco, visiting sites of interest along the route known as the Route of the Sun. 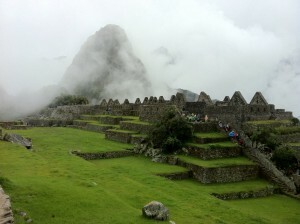 Cusco and the surrounding areas offer a wealth of history and culture. Just a walk around the picturesque centre will reveal many colonial buildings, with Incan foundations clearly visible. Enjoy a relaxing beer or glass of wine at one of the many pavement cafes, or try some of the fine cuisine available in one of the many excellent restaurants this cosmopolitan city has to offer. Museums and exhibitions are in abundance, as well as interesting and varied shops. On the way to the Sacred Valley, you will visit Sacsayhuaman, one of the best existing examples of Inca stonework. From here travel to a variety of sites on the way into the valley, including Qenko, Puca Pucara and Tambo Machay, before arriving at the small, picturesque village of Pisac. Arriving into Ollantaytambo, you will take in the spectacular ruins of the fortress before you travel to Aguas Calientes. Here you will board the wonderful Executive class of INCA RAIL carriage which offers great panoramic views as your route takes you through the changing microclimates into the higher reaches of the Amazon, to the small yet lively town of Aguas Calientes. This is an ideal opportunity to take the first transport up to the ruined city of Machu Picchu giving you the chance to witness the spectacular sight of the city appearing like magic through the early morning cloud. In order to maximise your enjoyment from your visit, Peruvian Secrets provides the services of a professional local guide who will reveal some of the mysteries that surround this fascinating place. Take your short flight over the Andes to the Amazon town of Puerto Maldonado. After a refreshing drink at your hotel you will make the 3-4 hour journey up the Tambopata River into the primary rainforest of the Tambopata Reserve Zone with the opportunity to see local communities and wildlife along the banks of the river. 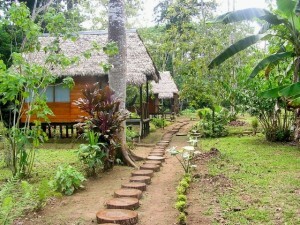 Today, travel further up the Tambopata River to the Bahuaja-Sonene National Park. You will be rewarded with a magical sunrise as the dawn breaks bringing to life the inhabitants of the forest for a new day. This is the best opportunity to see many animals such as capybaras, tapir, jaguar, and deer in the surrounding virgin forest. Leaving your boat you will take a silent walk through the forest to the best viewing point. Here you will observe (from a safe distance and depending on weather conditions), one of the greatest spectacles of the rainforest: hundreds of parrots, parakeets and macaws of various species, enjoying their diet of mineral salts on the river bank. After lunch you can take the boat (or you can go in individual kayaks) to the waterfall to take a swim in the heat of the day or take an alternative walk with your guide. After breakfast, make the journey back down the Tambopata River to Puerto Maldonado. In the afternoon you will travel down the Madre de Dios River and from there walk through the forest to the tranquil and beautiful Lake Sandoval. Take a paddle in a wooden canoe to look for Giant River Otters and birds such as Hoatzin and Aningha. You will walk back through the forest to look for some of the nocturnal creatures of the forest. Today you will transfer to the airport for your short flight back to Lima.